Your phone is an extension of you, so it’s only right that your case matches your personality. Whether you’ve just picked up the new iPhone 7/7 Plus or the Samsung Galaxy S7, protecting your new phone is a priority. But why should protecting your phone come at the cost of hiding your personality? 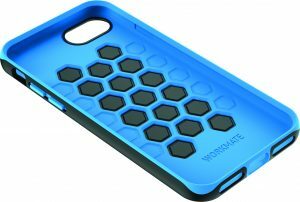 We’ve highlighted some of the best phone cases that manage to protect and still look great. 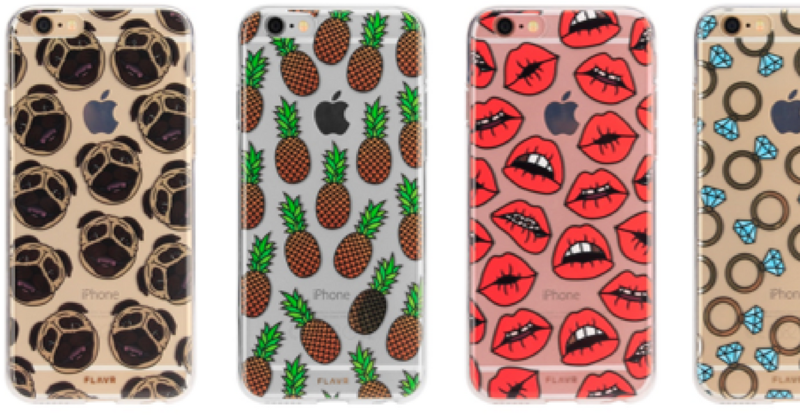 Flavr offer some of the most attractive phone cases around. By carefully watching trends, they’ve developed a range of cases that look amazing and match the most recent styles. The cases are designed to appeal to those who love to stand out from the crowd and want a phone case that reflects their unique style and personality. For dog lovers, there is the characteristic pug case, which is guaranteed to raise a smile whilst the lips or pineapples are certain to brighten up anyone’s phone. For others, there is the option of diamond rings, cactuses or nail varnish to spruce up their beloved device. 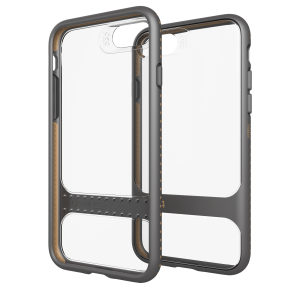 You can get a Flavr case for your iPhone 5/5SE, 6/6S, 7, 7 Plus and Galaxy S7 or S7 Edge. Currently only available from Carphone Warehouse stores, but they’ll soon be available online starting at £9.99. 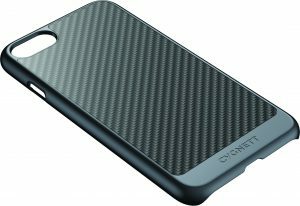 Founded in 2003 in Melbourne, Australia, Cygnett delivers on-trend, beautifully crafted cases that protect your iPhone and your style. Their variety makes it possible for everyone to find the style and level of protection that suits their lifestyle. The WorkMate Pro offers rugged protection against drops and scratches, while a raised edge around the screen provides lay flat protection, without adding bulk. Available from £19.95 at Cygnett (available mid October). 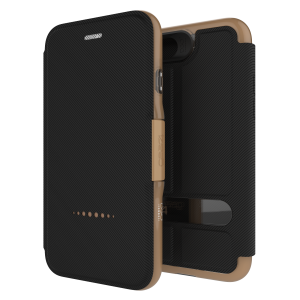 Combining great design with a premium finish, the UrbanShield case wraps around your iPhone to provide extra protection in a slim and stylish case. Available from £19.95 at Cygnett. 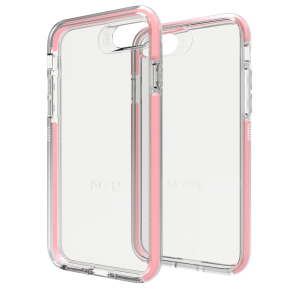 A sleek low-profile, hard polycarbonate shell gives maximum protection against drops and scratches with a shock proof polyurethane frame ensuring total piece of mind. Available from £14.95 at Cygnett. Premium leather wallet case with a convertible magnetic design that holds your most important cards as a wallet, then converts in an instant to a slim case which can be used in car mounts. Available from £29.95 at Cygnett. Sometimes a case doesn’t prevent your screen from getting strachted from keys or coins. This glass screen protector offers edge-to-edge protection. The RealCurve features clear hardened glass, designed to perfectly match the curve of your iPhone screen. The six-layer construction provides maximum protection and ensures a quick, bubble-free application. Available from £19.95 at Cygnett. X-Doria takes protecting your devices to the next level. Fusing military-grade protection and rapidly changing styles, they create the near-perfect cases. They offer three ranges – Defense Gear, Defense Lux and Revel – to get the right mix of protection and style. 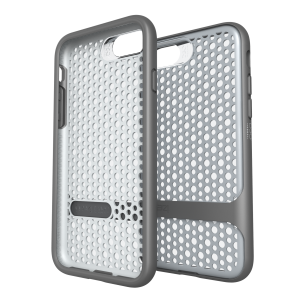 The case is engineered with enhanced corners and a 0.1 inch thick frame that provides dual layer protection and shields all angles of your device. The Defense Gear case can withstand drops from up to 6’6”. 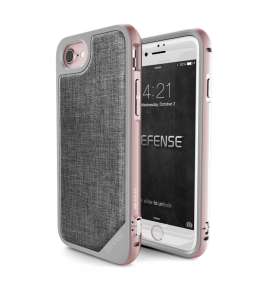 Defense Gear is available in four different colours to match the iPhone designs. Get your iPhone 7 case and iPhone 7 Plus cases from £24.99. X-Doria’s Defense Lux for iPhone 7 or iPhone 7 Plus brings together refined luxury and durability to create the ultimate protective case. The simple snap-on case has a soft rubber inner layer to protect your phone from scratches and acts as a shock-resistor when dropped. Like the Defense Gear, the Lux can withstand drops from up to 6’6″ on concrete. You can get the Lux in luxurious faux carbon fiber, soft leather, canvas or microfiber rear panel. Available for £29.99 on XDoriaLife.com for iPhone 7 and iPhone 7 Plus. 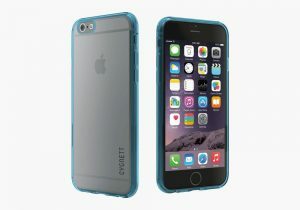 If style is more your thing, the Revel series offer quirky cool snap on cases for the iPhone 7 that are designed with a raised bezel edge to protect the screen from surface scratches and a wraparound reinforced rubber bumper that extends across the top and bottom edges to ensure the phone is protected edge-to-edge. Revel also protects the volume and lock buttons with a grip rubber bumper. 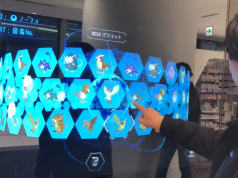 There are twelve different patterns to select from including Pug, Panda, Husky, Fox, Bear, Lion, Blue Future and Chrome Web. 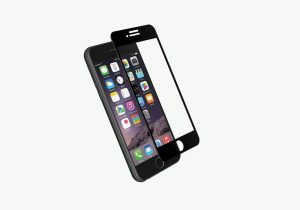 Available from£19.99 on XDoriaLife.com for iPhone 7. As one of the largest phone accessory brands, you can’t go wrong with Gear4. In their new iPhone 7 and iPhone 7 Plus cases, they’ve taken your phone’s protection to the next level. In their new designs, they have used D3O®, the most advanced shock absorbing technology. 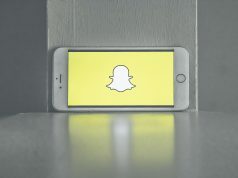 It can be found in American football helmets, combat uniforms and protective gear worn by pro athletes (including Usain Bolt) and extreme sportsmen, such as Olympic ski teams. 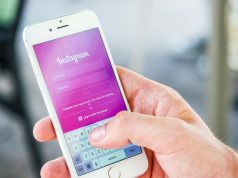 Gear4 have combined this technology in to five new designs for the new iPhone named The Piccadilly, Carnaby, Oxford, and Soho, relating to Gear4’s British roots. With its clear back, The Piccadilly is perfect if you’re wanting to protect your phone, but maintain it’s original look as much as possible. The ultra slim case comes in Gold, Rose Gold, Silver and Black to make your case look and feel like an extension of your phone. You can get the iPhone 7 case and iPhone 7 Plus case from the Gear4 website for £29.99. A nod to modern luxury, the Mayfair is made from crafted genuine leather for an extra touch of extravagance. If you’re wanting to blend business and leisure, the Mayfair is for you, protecting your device while preserving it’s simple, chic look. 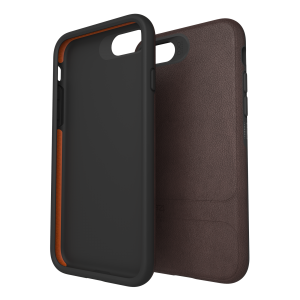 Available in black or brown leather starting the iPhone 7 and iPhone 7 Plus are £39.99. Make a sleek statement with Soho’s transparent case and Apple colour-matched D3O® technology for protection that honours the original design of the iPhone. Featuring a TPU bumper, the Soho comes in Gold, Rose Gold, Silver and Black. It is available for iPhone 7 and iPhone 7 Plus for £34.99. It is also available for iPhone 7 and iPhone 7 Plus in Gold, Rose Gold and Silver. This case is for the multitasker. 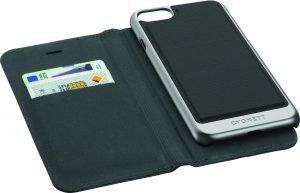 The Oxford mobile wallet features slots for credit cards and also a convenient stand for viewing videos in landscape. It’s unique clip closure design keeps your valuables safe.